Bill Strang is President and Chief Executive Officer of Tactical & Survival Specialties, Inc.® (TSSi). Strang founded TSSi in 1980 while serving in the United States Naval Reserve. Prior to founding the company, Strang served on active duty in the Navy from 1971 to 1975, the U.S. Army Reserve from 1975 to 1976 and the United States Naval Reserve from 1976 to 1994, retiring as Senior Chief Petty Officer in 1994. Strang is a Vietnam Veteran. From 1984 through 1990, Strang served as the Regional Training Specialist for AMP, Inc. in Harrisonburg, Virginia, where he developed and managed training programs for 2500 managerial, engineering, technical and production employees across five facilities situated in central and southern Virginia. In 1990, Strang incorporated TSSi and began a full time commitment to supporting those who defend America’s freedoms. Strang has received numerous military, business and community awards. His military awards include the U.S. Navy Commendation Medal (Second Award), the Navy Achievement Medal, and the Navy and Marine Corps Combat Action Ribbon. As a business leader, he was recognized by Rotary International as a Paul Harris Fellow in 2012. The National Defense Industrial Association (NDIA) presented him with the Dr. Kathleen P. Sridhar Small Business Leadership Award for 2008, he was honored with the Virginia Small Business Development Center-Small Business Veteran of the Year for 2008, and was presented with the City of Harrisonburg and Rockingham County, Virginia, Entrepreneur of the Year Award for 2007. 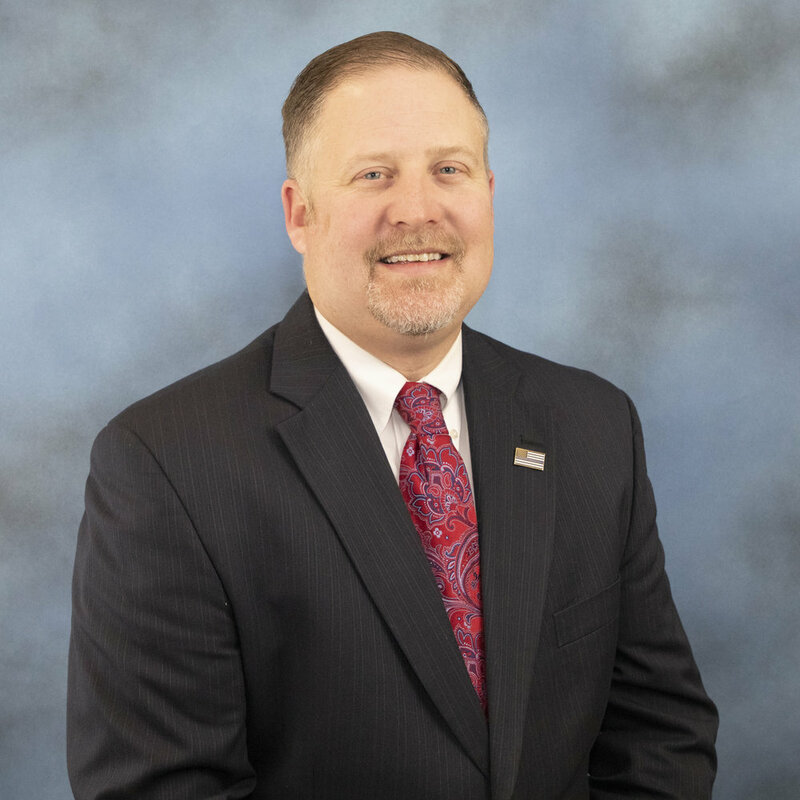 Strang also supports his community in numerous roles including membership on the Stonewall Jackson Area Council of the Boy Scouts of America, Massanutten District Committee, and is currently the Chairman of the District Nominating Committee. He is a member of the Board of Trustee’s for the U.S. Navy CEC/Seabee Historic Foundation, a Member of the NDIA Special Operations, Low Intensity Conflict Division Advisory Board, and a past Chairman of the Blue Ridge Community College Center for Business and Human Resource Development Advisory Board. Strang attended the University of Pittsburgh. Cary Hevener is the Chief Financial Officer at TSSi, joining the company in July of 2014. She comes to TSSi from Dynamic Aviation, where she was the Controller since 2006. Dynamic Aviation is the leading provider of innovative aviation solutions for government and commercial organizations worldwide. Before working for Dynamic Aviation, Cary was the Controller for Hartman Motor Sales in Harrisonburg, VA for six years. Cary attended West Virginia University and graduated Magna CumLaude with a Bachelor’s Degree in Business Administration – Accounting. She is a Certified Public Accountant (CPA) in West Virginia and Virginia. As CFO, Hevener is responsible for the financial and administrative division of TSSi, with Accounting, Information Technologies and Human Resources reporting directly to her. Glenn Myers brings 25+ years of operations and logistics experience to TSSi. Before joining the TSSi team, Mr. Myers was the Director of Supply Chain & Logistics at Advanced Auto in Roanoke, VA, the Coordinator of Public Warehousing at Philip Morris USA & a Distribution Manager at Kraft General Foods. In prior positions, Mr. Myers developed and implemented an inventory control program for Kraft’s frozen division, which enhanced purchasing functions as well as achieving an in stock average of 99.7% from 1990-1994. In 1984, Mr. Myers played a vital leadership role in the implementation and start up of an east coast redistribution center for Coors Brewing Company. Myers is a graduate of Virginia Commonwealth University, where he majored in communications. He has also continued his education through developmental courses at Rutgers University, Wake Forest, Penn State, the University of Richmond & Old Dominion University. Myers has served on the advisory board for the Roanoke City Economic Development, is a member of the National Defense Industrial Association and has served as Committee Fundraising Chair for the JDRF Greater Blue Ridge Chapter and has been a past President of the Virginia Home for Boys and Girls Board of Associates. Mark Good is the Vice President of Sales and Marketing at TSSi. Good has been employed by TSSi for 17 years, starting as the Contract Specialist from 1999 to 2005, then the Assistant Sales Manager from 2005-2008. Prior to accepting the position of Vice President of Sales and Marketing, Good was the Director of Sales Support. As VP of Sales and Marketing, Good is responsible for the revenue generation division of TSSi, with the Director of Business Development, Director of Marketing, Director of Purchasing, Director of Business Services, Director of Sales Support and Director of Contract Management, TLS/SOE reporting directly to him. Christopher Harrison is the Vice President of Vendor Relations at TSSi. Harrison is responsible for the Vendor Relations and Purchasing Departments. With over 30 years’ experience in Government sales, contracting and vendor development, Chris will refine and expand TSSi’s vendor stable to better serve its customers and its manufacturer partners. Prior to joining TSSi, Chris directed the Vendor Relations and Sales efforts for Source One Distributors and Unifire. He was directly responsible for new vendors, program development, retention and training of sales talent and trade show planning. Sales rose by a factor of 10X as a result of teaming with leading manufacturers and producing a program where SOD / Unifire sales people could register their sales deals with those manufacturers. Chris will further enhance the same program at TSSi to expand sales and increase profits. Additionally, Chris has vast experience in the Firearm Industry as he managed what is the largest gun distributor in the U.S., RSR Wholesale Guns. Based on fresh ideas and new programs developed to bolster supplier relationships, travel to customer locations and bundling of products, Chris was able to increase sales substantially in a marketplace that’s highly regulated.